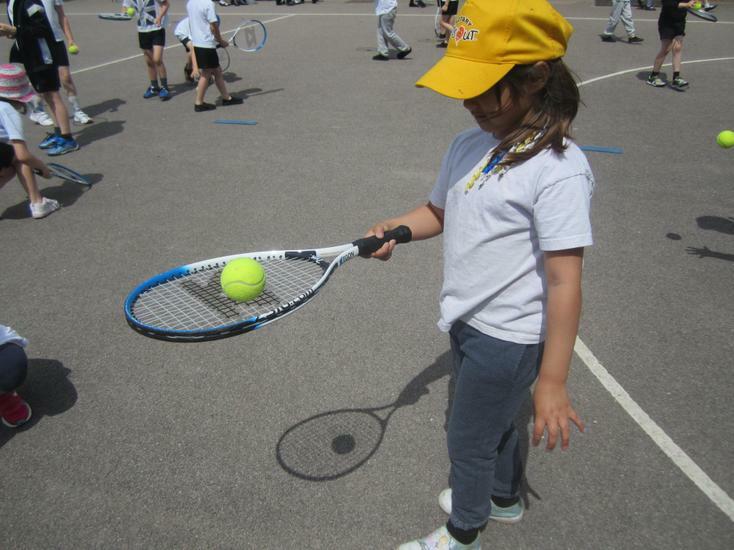 The Year 1 children are thoroughly enjoying their outdoor games lessons. 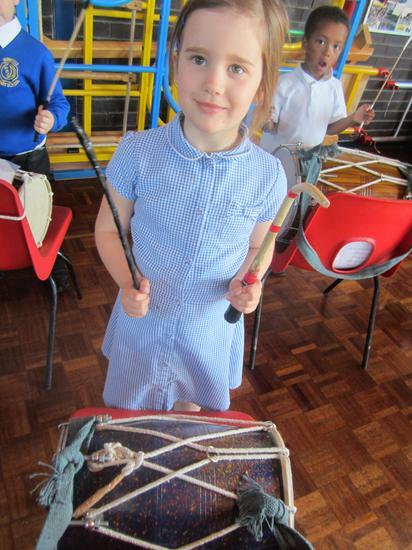 I was amazed to see how their skills developed during just one lesson ! 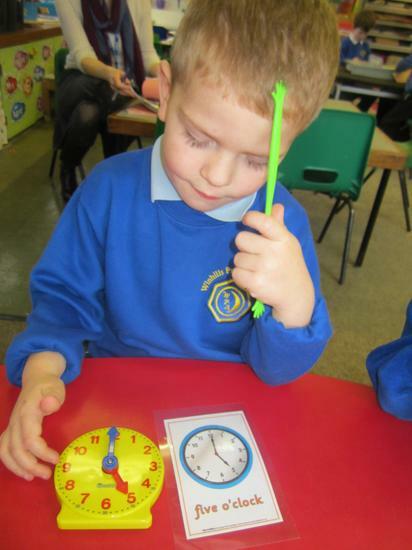 Lots of concentration and fun ! 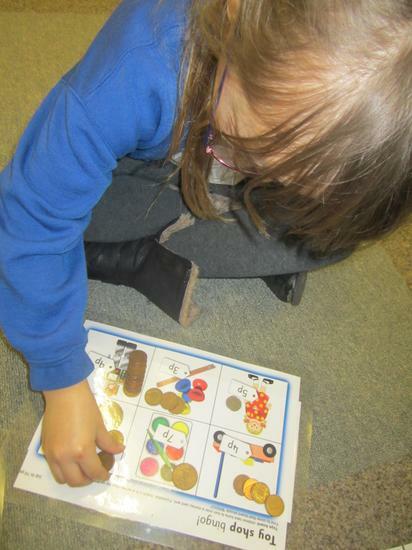 Our Read Write Inc lessons continue with new sounds words and books to read. 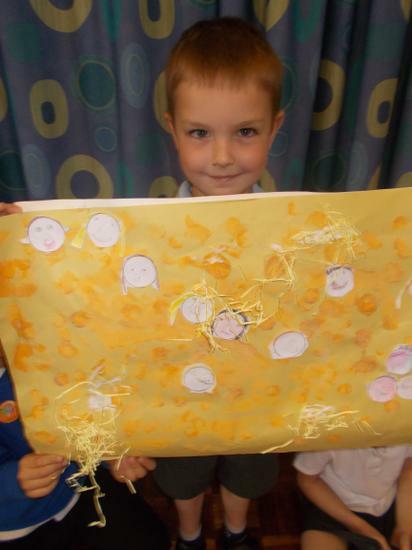 Reception children have been writing about their family and friends this week. 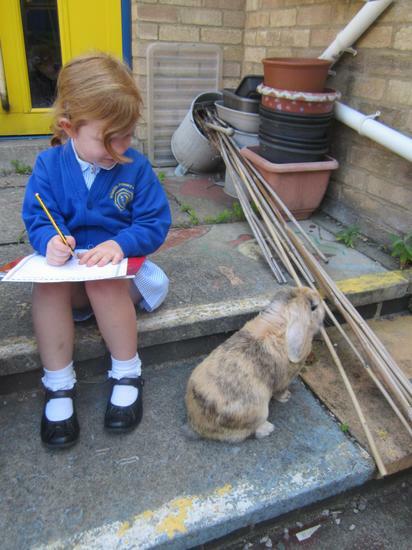 Welcome back to the second half of the summer term. 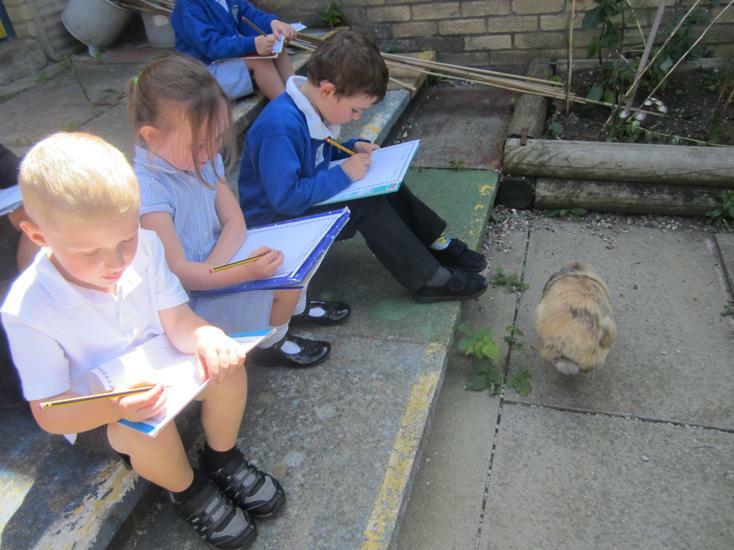 The children arrived back rested, excited and eager to get outside with their learning. 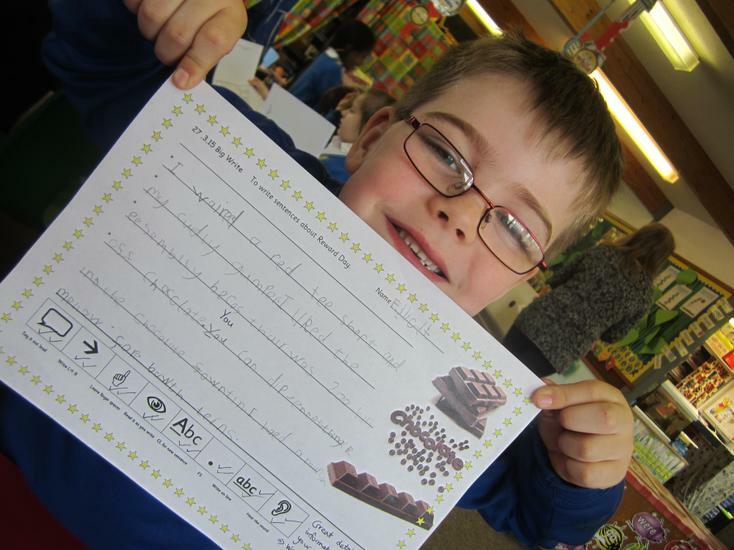 All the children had plenty to write about their half term adventures during our Big Write in Friday. 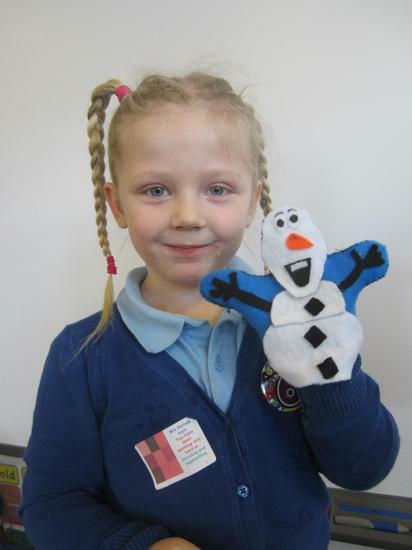 Please make sure you child has returned their PE kit so they can enjoy the gymnastics, dance and games sessions. 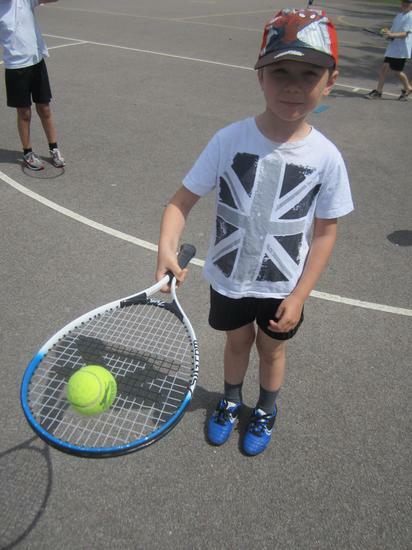 This week was different ! 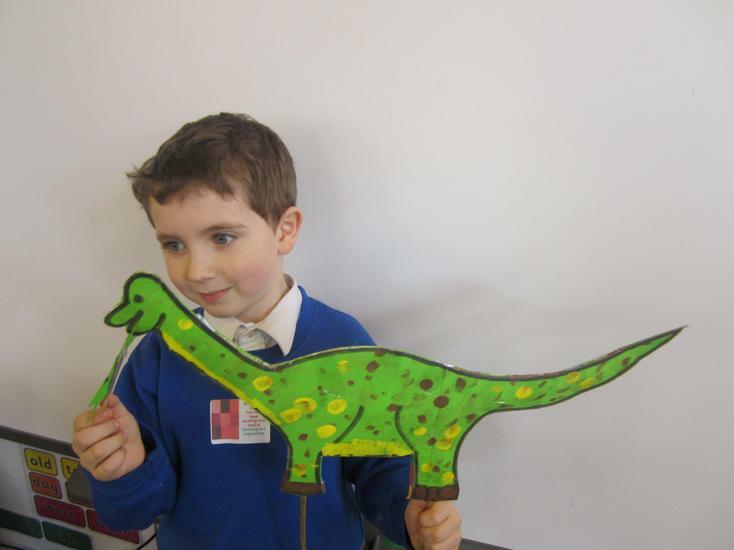 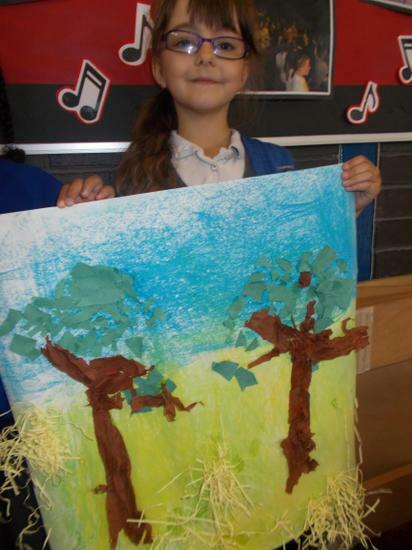 We had a creative Love of Literacy week and explored the book "We're going on a Bear Hunt". 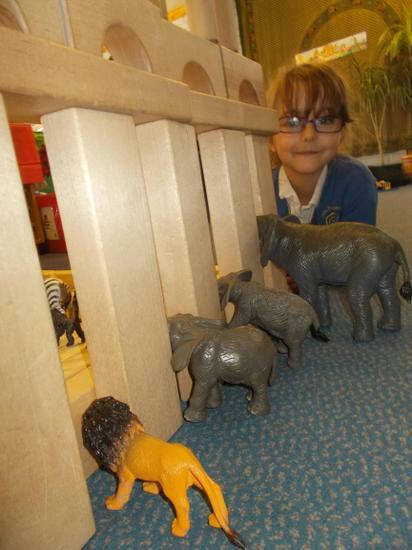 This soon became a new story of "We're going on a Lion Hunt" travelling through grasslands, sand storms, and jungles, on past waterfalls, mud hut villages, to eventually find the large, fierce lion on 'The Big Rock'. 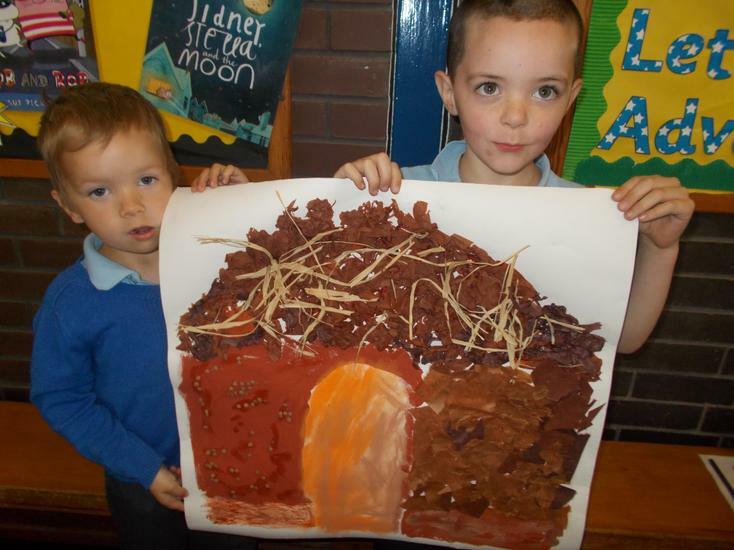 The children acted, painted, modelled and were very busy story telling ... eventually writing their own story for The Big Write on Friday. 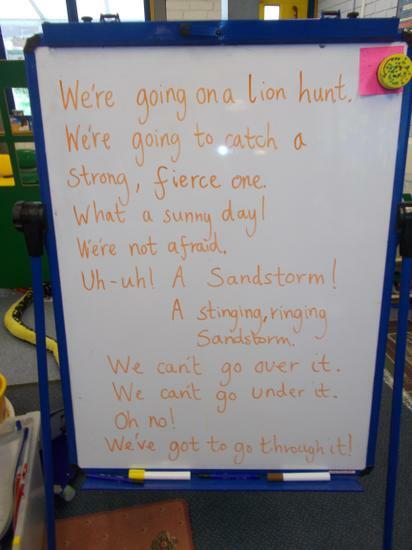 A special thank you to Mrs Willison for preparing this exciting week. 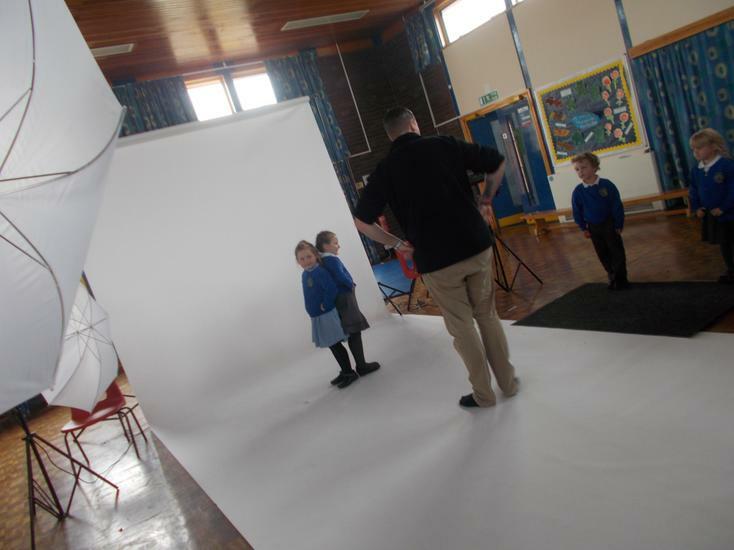 The children looked fabulous this week for the class photographs - super smiles and such great behaviour for our photographer. 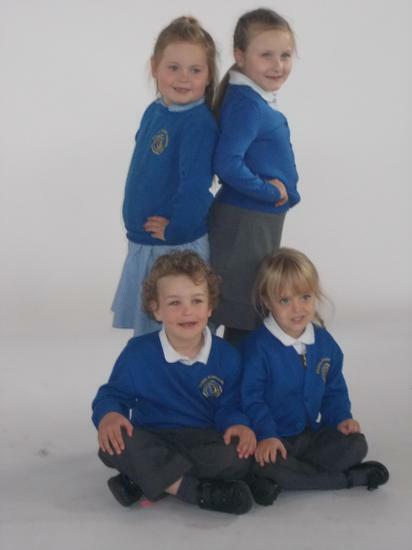 Thank you for always having the children look smart and proud in their Winhills uniform. 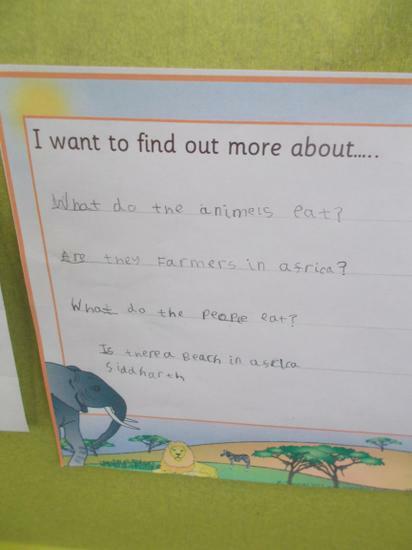 This week we wrote clues to describe an African animal, thinking about their size, shape, colour and special body parts like long necks or grey trunks. 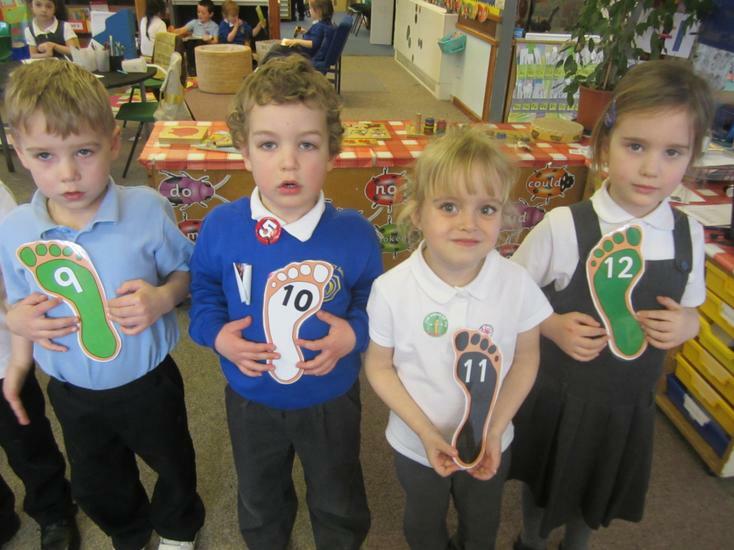 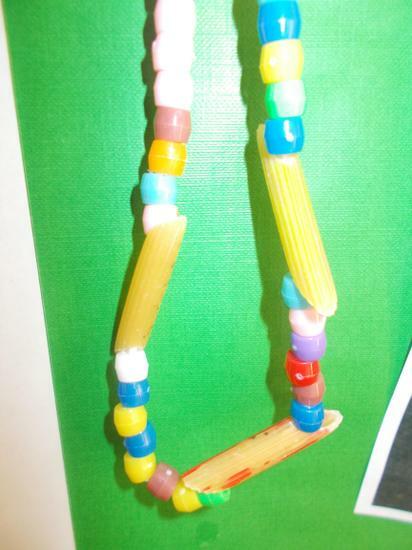 Opal class have been using number tracks, bead strings and number lines to explore adding and subtracting numbers. 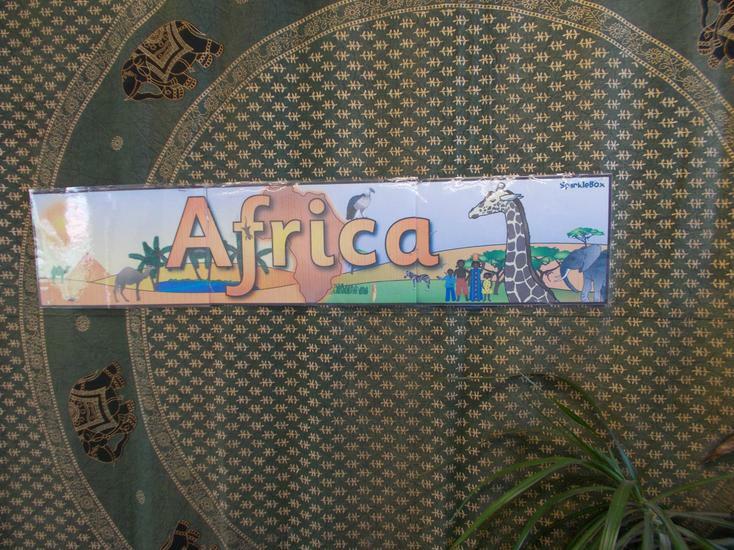 Our Africa topic continues in the ICE zone where the children are exploring the sounds, colours and stories of Africa. 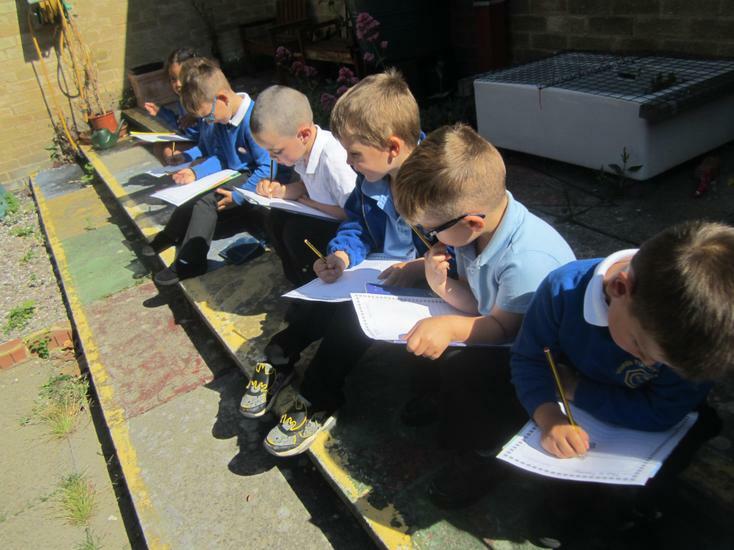 During the week the children planted a sunflower seed, and have written instructions about "How to plant a Sunflower" for their Big Write on Friday. 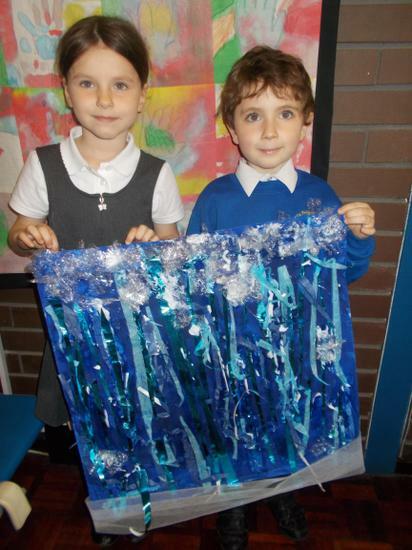 We look forward to watching the seeds grow very tall, and to be able to measure them ! 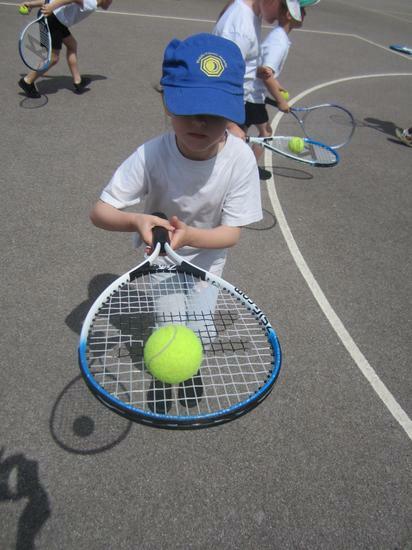 We have started the summer term which means please bring back to school your PE kits, Book Bags, water bottles and a sun hat for outdoor learning time and break times. 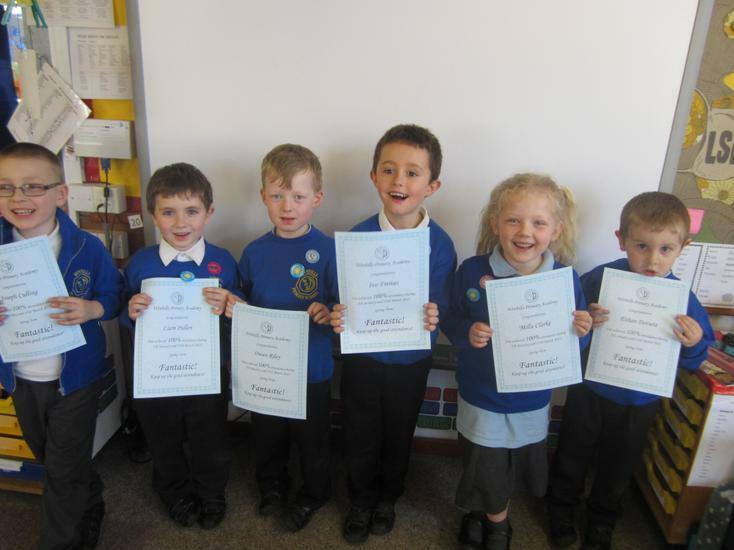 100 % attendance for the Spring Term - Well Done !! 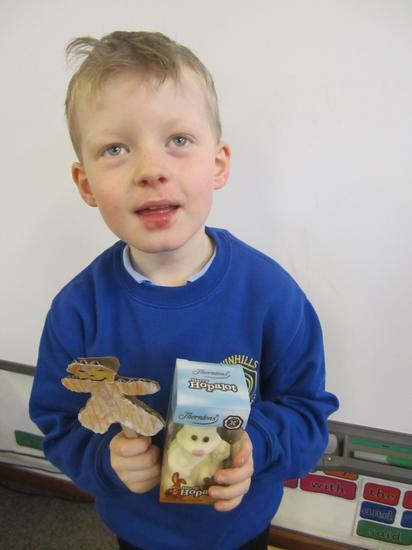 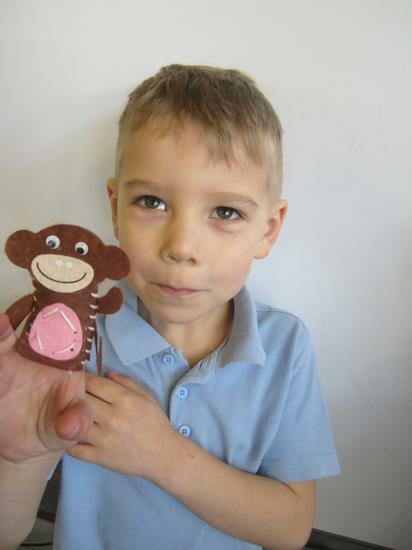 The highlight of this last week of term was certainly Reward Day - well done to all the Year 1 children who completed their homework this term, and to the Reception children for so much reading at home and busy learning in school. 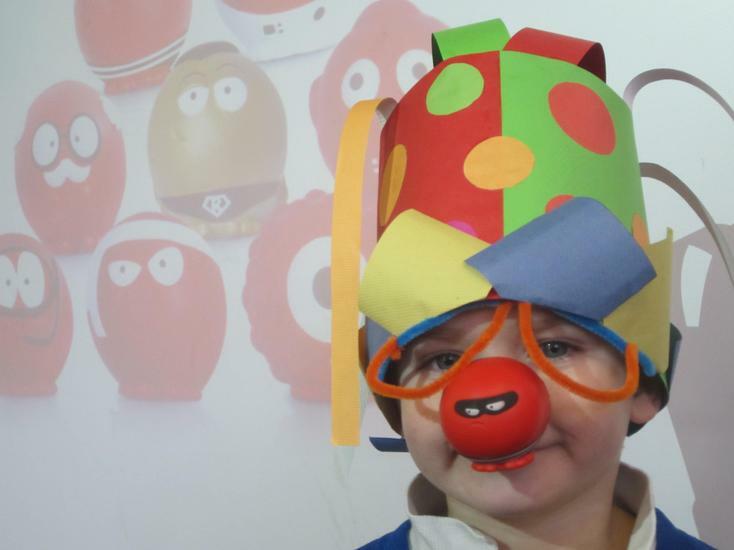 The day was full of chocolate activities and fun - movies, popcorn, construction and games. 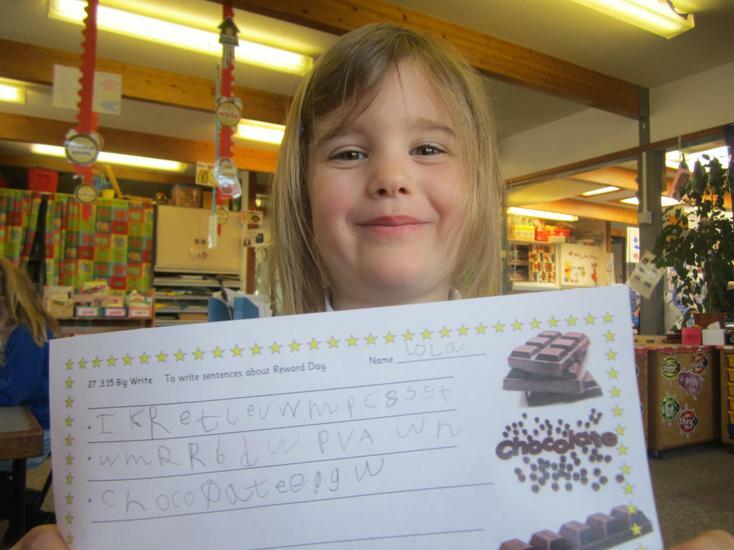 On Friday there was some super writing about Reward Day, too. 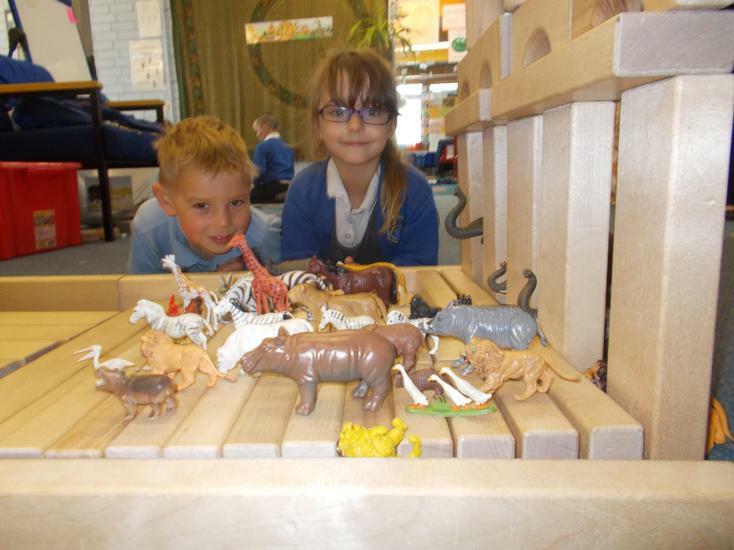 We have started looking at 3D shapes in our maths lessons, learning to use vocabulary such as corners, sides, faces, edges, flat, curved. 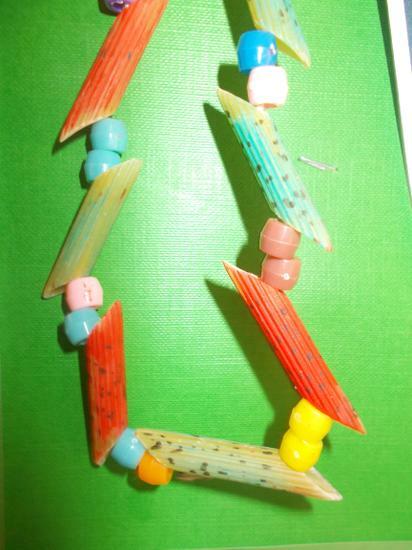 straight. 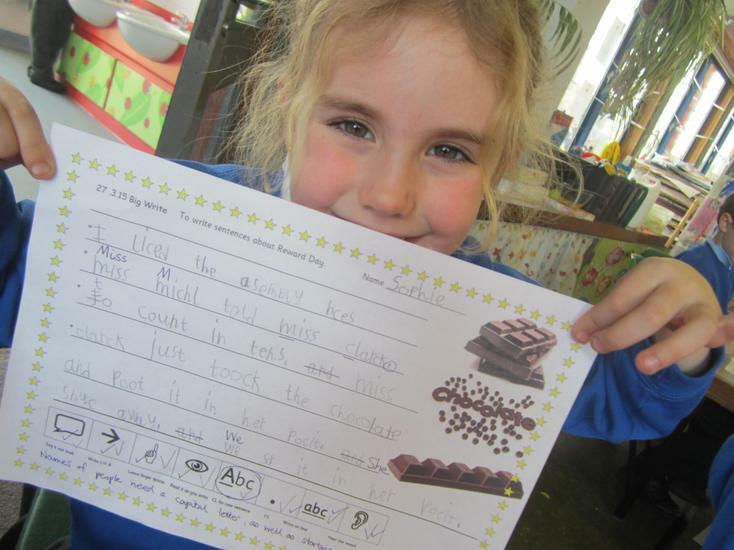 There are many ways to describe a cube, sphere, cone and cylinder. 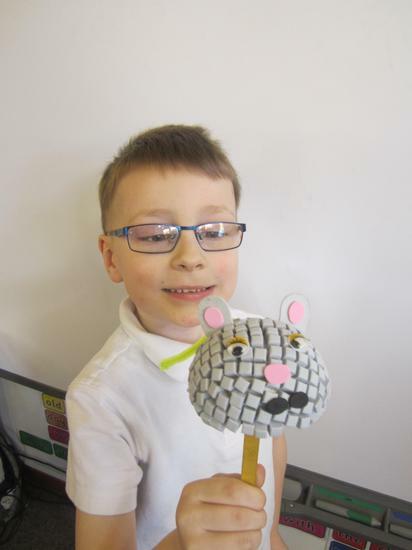 This week Opal class have been learning about 2D (flat) shapes and 3D shapes including the cube, cylinder, sphere and pyramid. 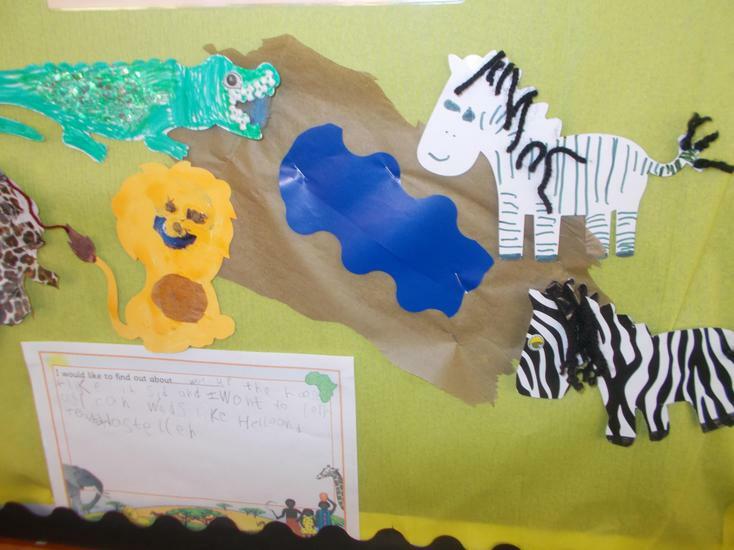 We have been learning to describe the shapes talking about the shape of each "face" and how many edges or corners each one has. 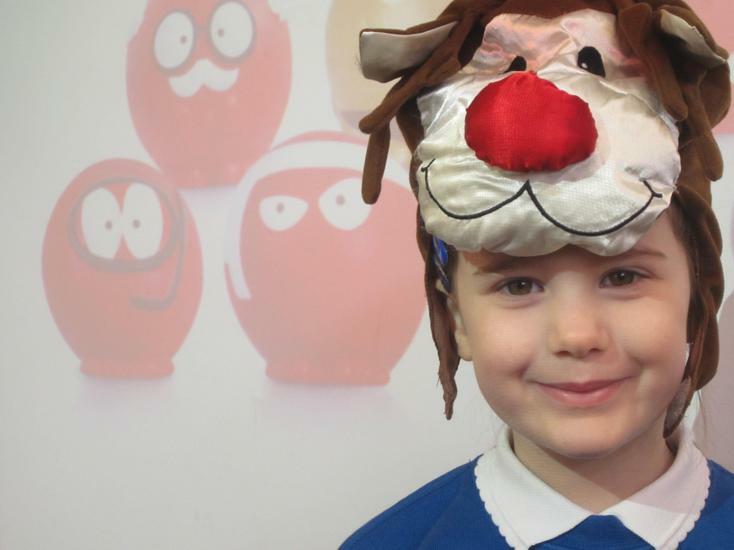 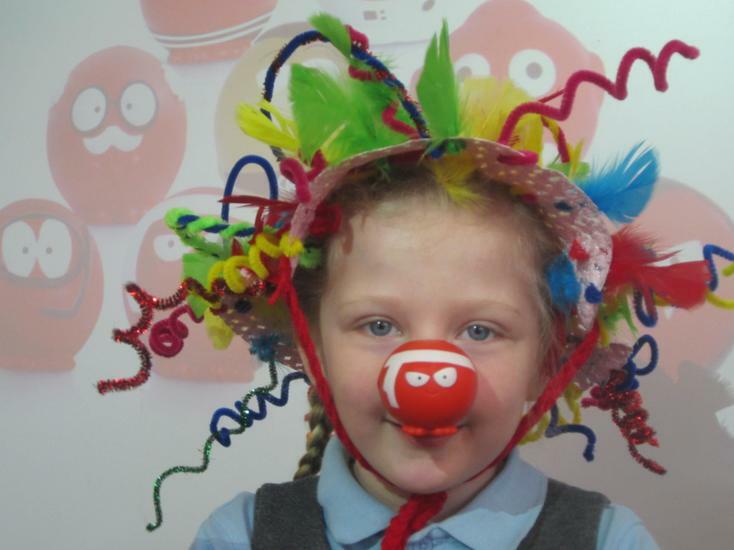 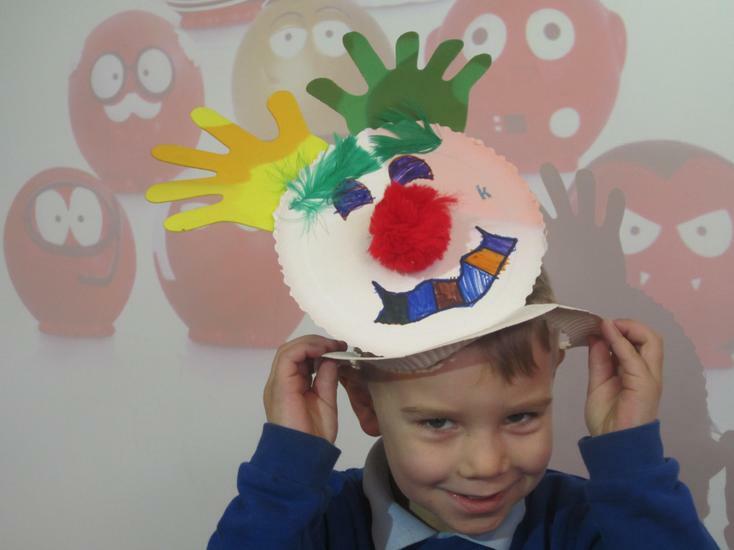 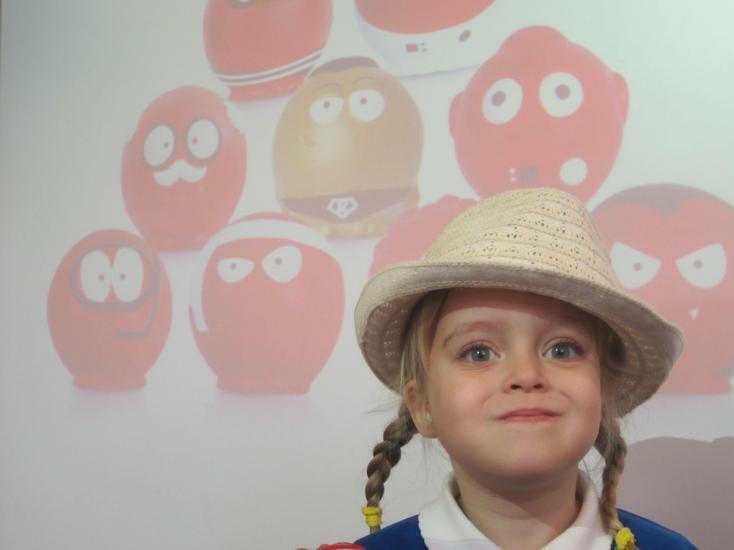 And on Friday there were some fabulous "Silly Hats" in school for Red Nose Day - well done for bringing in so many different styles and ideas of things to wear on your head !! 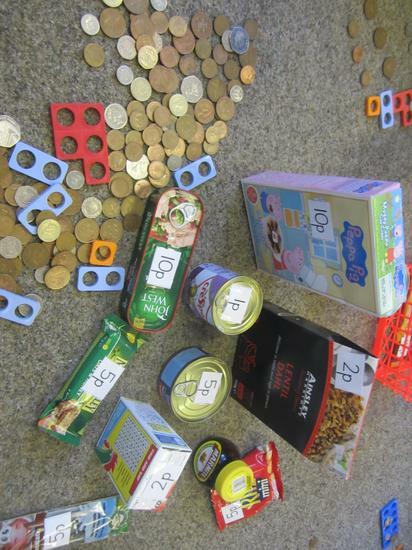 There has been lots of Measuring happening in maths this week ... 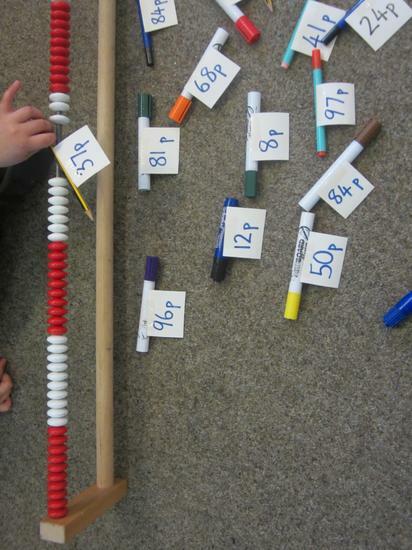 Measuring using cubes, and comparing 2 objects and finding the difference between 2 lengths. 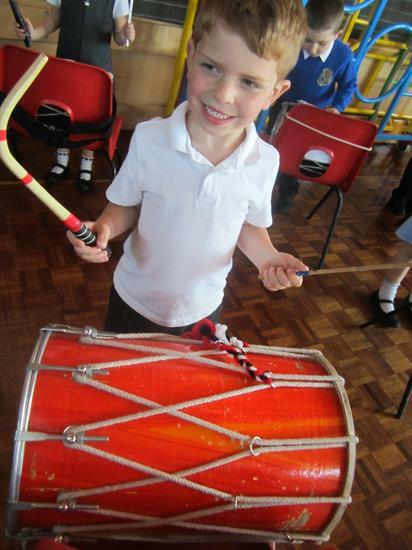 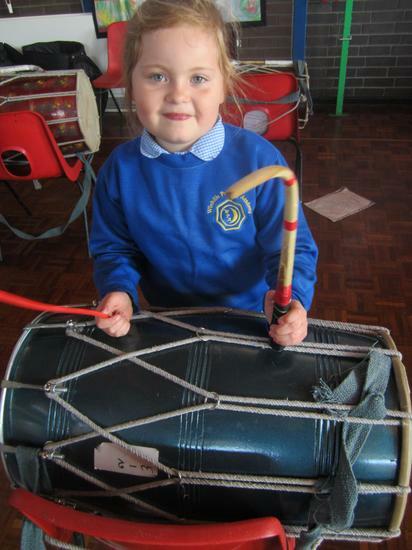 Indian drumming and Dance (Zumba and Street Dance) lessons continue for Opal class this half term. 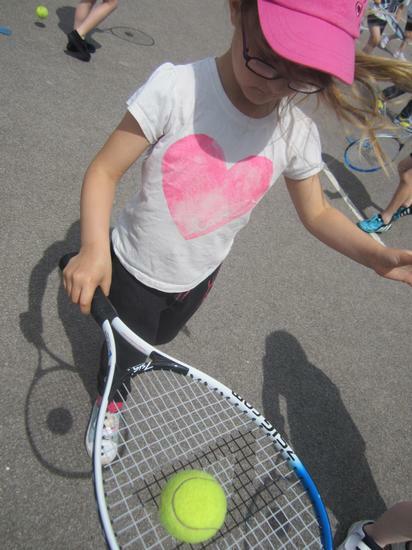 Welcome to the new half term - thank you for bringing back PE kits, library books, water bottles and good outdoor clothing for the changing weather. 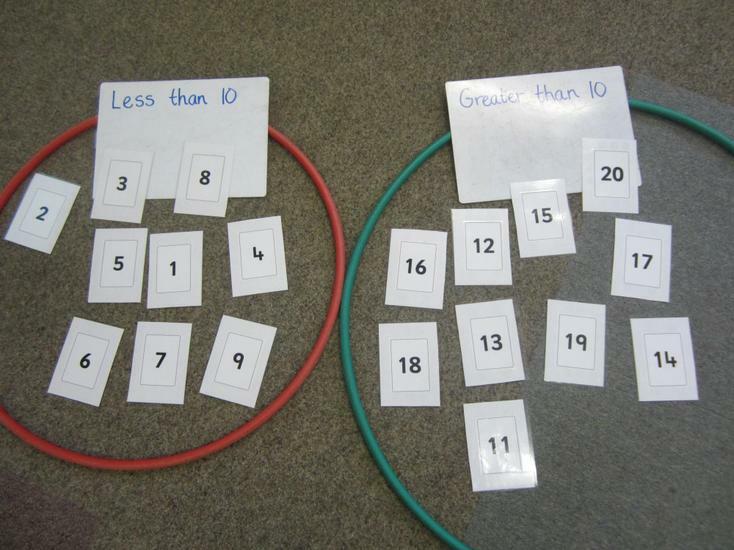 We have started a maths topic learning about addition and number values. 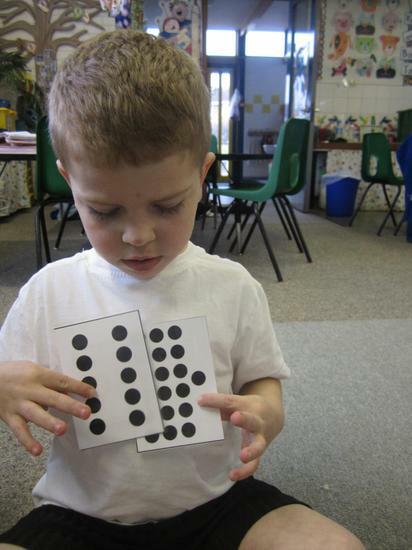 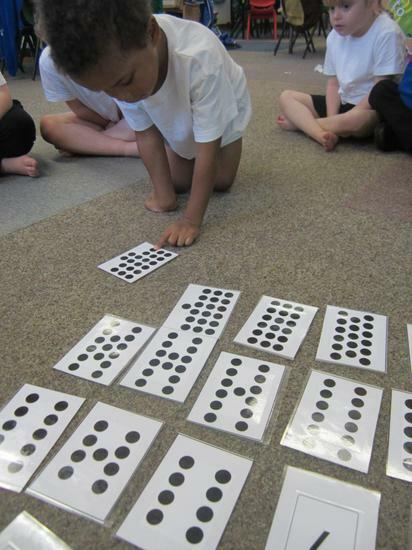 Reception have been adding 1 or 2 to a number, and learning how to record this. 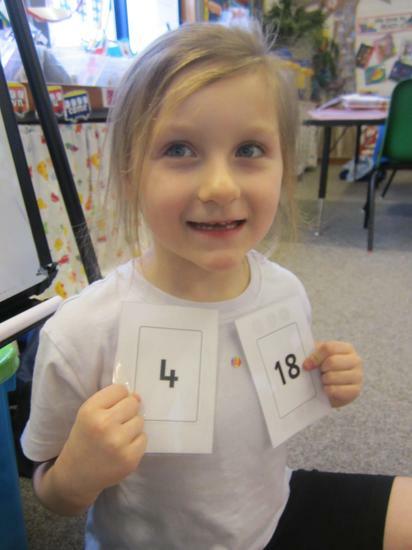 Year 1 have been comparing numbers up to 100 and talking about the "tens" and "units" eg 37 is made up of "3 tens and 7 units" Read Write Inc continues and I have seen great improvement and development in the Reception children's handwriting - well done ! 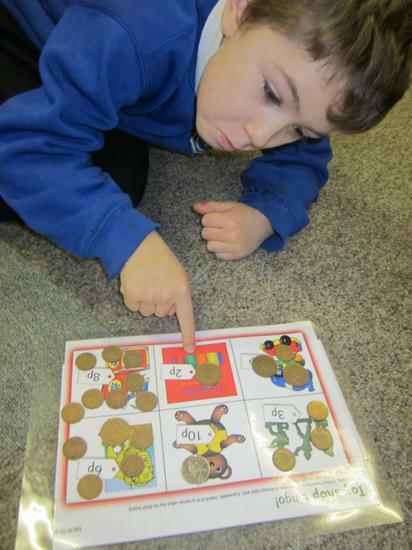 This week we have been sorting and comparing numbers, and learning about odd and even numbers. 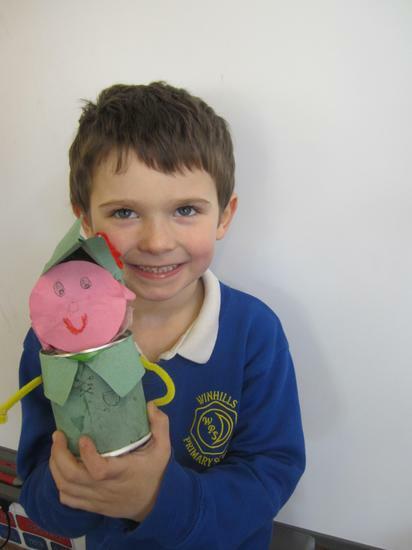 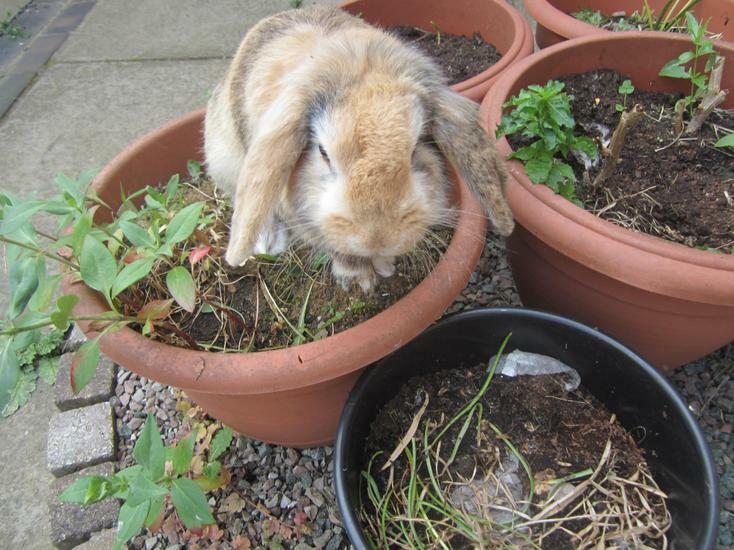 Have a lovely Half Term Opal class. 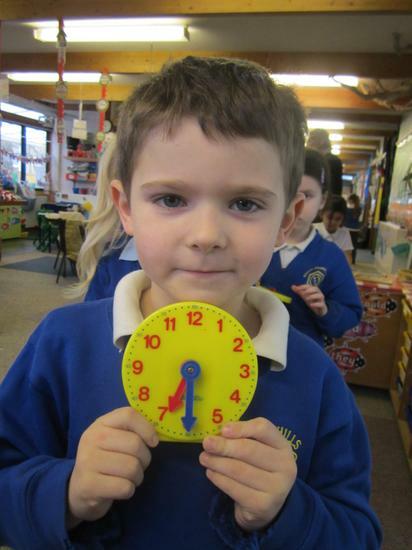 This week the children have been looking at clocks, times of the day and when events happen. 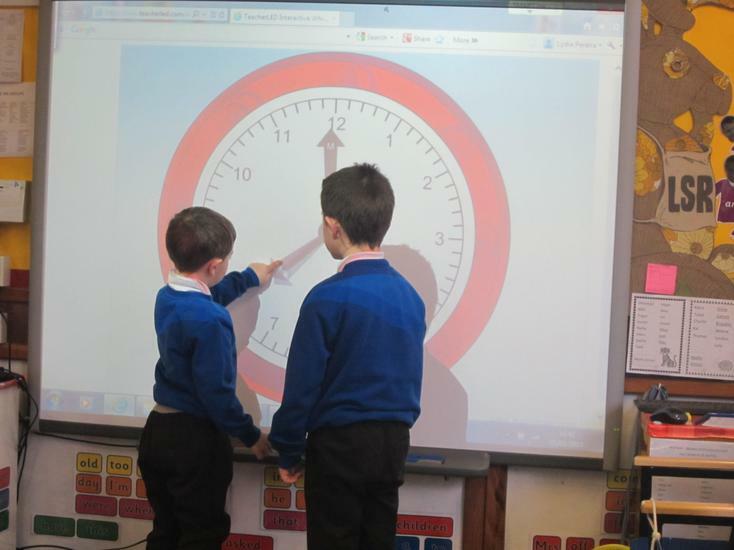 Fantastic learning about all the o'clock times, and even learning how to know when a clock is showing "half past" . 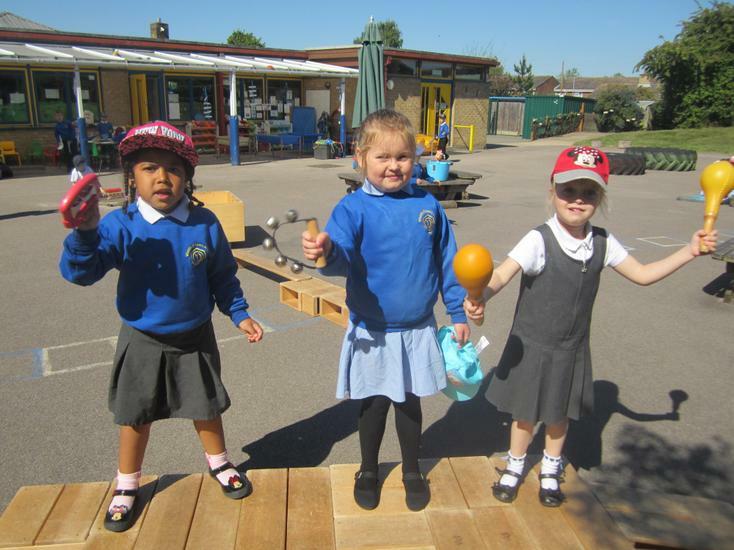 On Wednesdays we are all dancing - either Street Dance or Zumba . 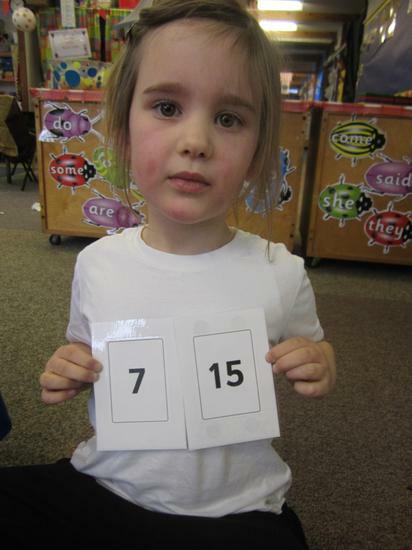 Thank you for remembering to remove earrings on that day ( as well as Tuesday for Year 1 please). 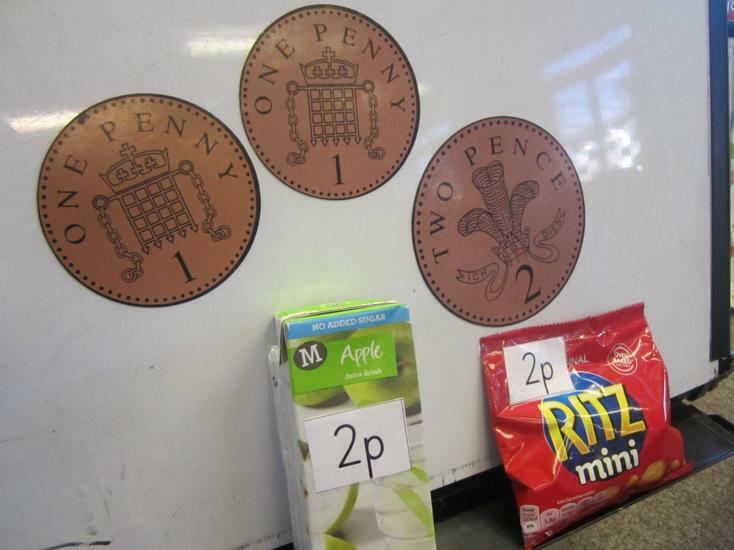 We have been learning about money this week - recognising and naming coins, matching coins, and adding simple totals using coins up to 10p. 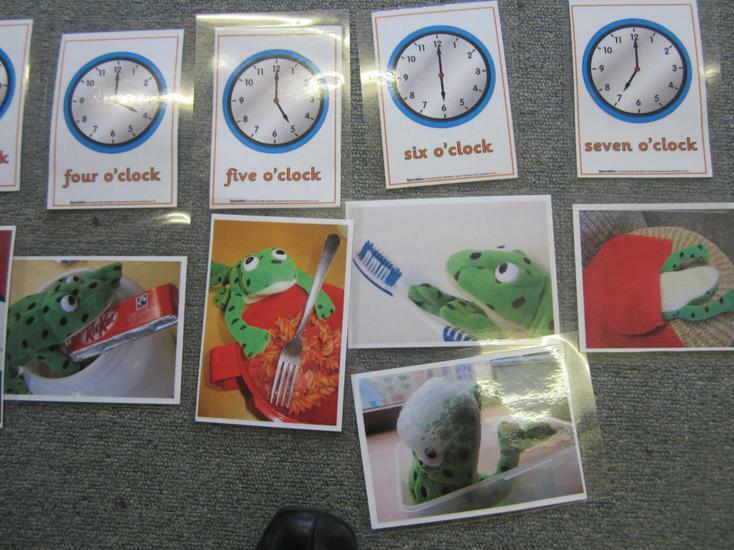 The Read Write Inc groups have started and the children are really enjoying using Fred Talk and learning new sounds and words. 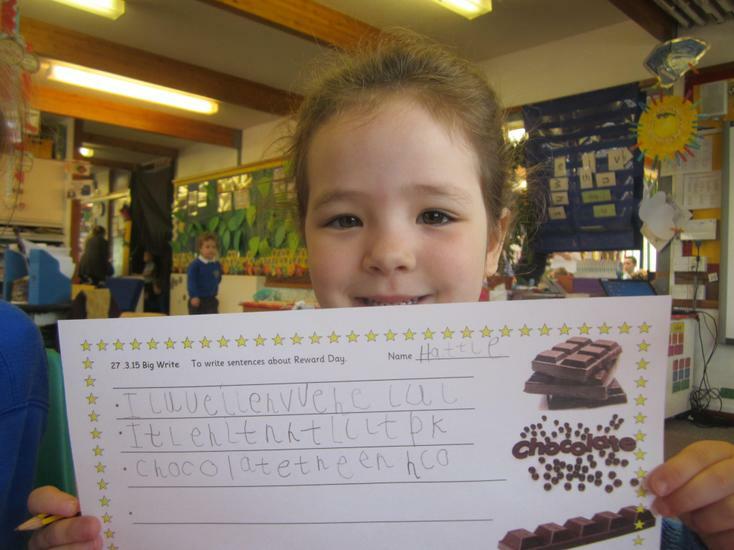 Handwriting is also learned each day and the children are producing some very neat writing, with the letters all the correct way round - fantastic !